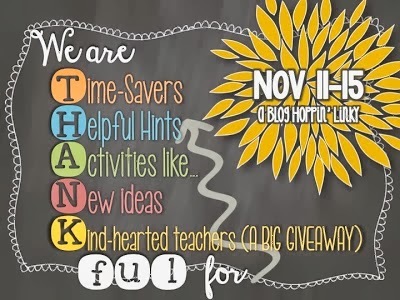 I am hooking up with Blog Hoppin’s We Are Thankful Linkup. I am combining Monday and Tuesday because they are similar and truthfully, I was just enjoying my Monday off. I originally started this post on Tuesday and now it is Wednesday, LOL. So I will try to post Activities like…tonight. But here is T and H.
So I thought I would share some organization tips, which can SAVE TIME and be HELPFUL. Ha! cool is that, it’s like a two for one deal! 1. First off is one of my favorite investments I have made, weekly boxes. These are actually book boxes from Lakeshore Learning. It was cheaper to buy these, then the color coded weekly boxes. I just bought color colored folders for them. I put all of my resources, copies, books, etc. that I will use for each day in these tubs. The far right one is the tub for next week. On Fridays I empty that tub and sort the items according to what day I plan to use them. 2. Right next to the counter my daily bins from above I have a rolling file cart. In the cart I have files for each month. In these files, I store calendar pieces for the month, poem masters related to the month, and any other item that is related to the month. When a new month comes around, I just pull the items from here. I also have a file for extra papers. This is where I put extras for kids who were absent. And last my “to be filed” file. Maybe it’s just me, but I always find random items in my classroom. For example, it’s November right now, today I found a center piece to one of my back to school centers. My back to school centers are already packed away, so I place it in here. I try to empty that folder every few weeks. 3. I am fortunate to have a lot of parent helpers. I always have them in helping me prep. I try to have all the supplies they would need clearly organized. That way they can do their job without needing to ask where the staple refills are. 3. The last thing I want to share is how I have the kids tables/supplies color coded. Each table has a color. Each table has a supply basket, recycling bin, scissors, writing folder basket, etc that are the same color. I even have a carpet that has colored squares, so they sit on a square according to their table color. This makes life so easy for me. I don’t get “I want the blue scissors.” The kids also know where things go according to what color is on it. It teaches the kids that important skill of organization. There you have it, a few ideas that I use in my classroom. If you want to link up and share your ideas, click below.